Dulse is similar to another seaweed, Dilsea carnosa, but Dilsea is more leathery with blades up to 30 cm long and 20 cm (7.9 in) wide. Unlike Palmaria palmata, it is not branched and does not have proliferations or branches from the edge of the frond, although the older blades may split. 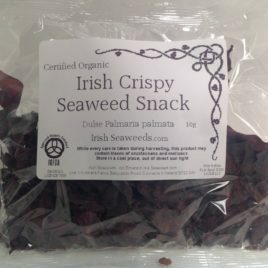 Dulse from Ireland. 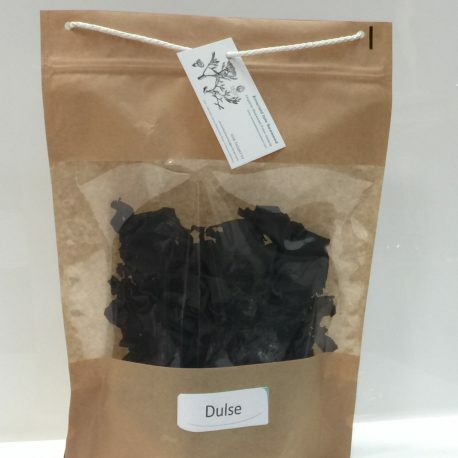 One bag of dried Irish Dulse whole leaf (weight 100 grams). 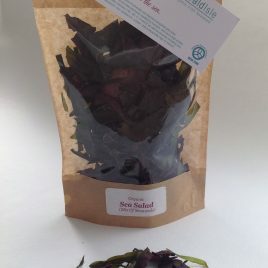 Palmaria palmata, also called dulse, dillisk or dilsk (from Irish/Scottish Gaelic duileasc/duileasg), red dulse, is a red alga (Rhodophyta) previously referred to as Rhodymenia palmata. It grows on the northern coasts of the Atlantic and Pacific oceans. 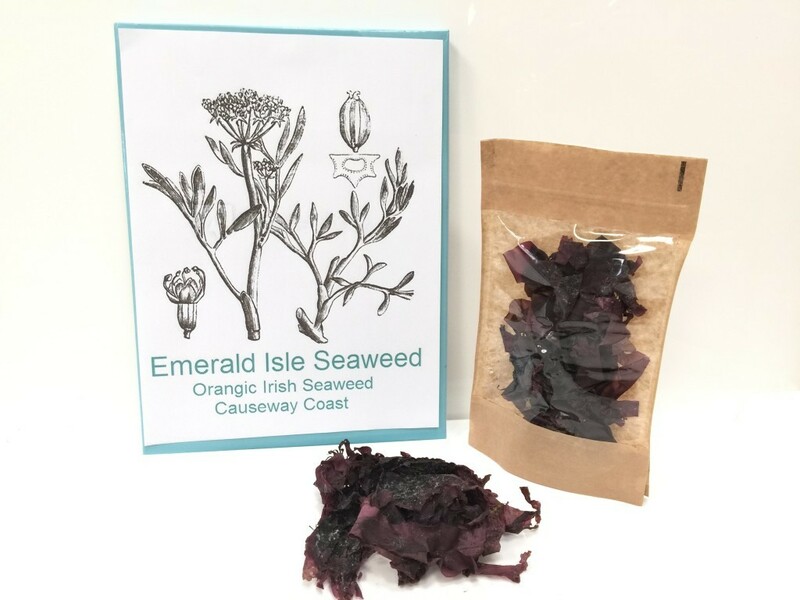 It is a well-known snack food in Ireland, It has been an important source of fibre throughout the centuries.The erect frond of Dulse grows attached by its discoid holdfast and a short inconspicuous stipe epiphytically on to the stipe of Laminaria(kelp) or to rocks. It has a short stipe, the fronds are variable in colour from deep rose to reddish purple and are rather leathery in texture. The flat foliose blade gradually expands and divides into broad segments ranging in size to 50 cm long and 3–8 cm in width which can bear flat wedge-shaped proliferations from the edge. Dulse is a good source of minerals and vitamins compared with other vegetables, contains all trace elements needed by humans, and has a high protein content. It is commonly found from June to September and can be picked by hand when the tide is out. When picked, small snails, shell pieces and other small particles can be washed or shaken off and the plant then spread to dry. Some gatherers may turn it once and roll it into large bales to be packaged later. It is used as fodder for animals in some countries. Dulse is commonly used in Ireland, Iceland, Atlantic Canada and the Northeast United States as food and medicine. It can be found in many health food stores or fish markets and can be ordered directly from local distributors. In Ballycastle, Northern Ireland, it is traditionally sold at the Ould Lammas Fair. It is particularly popular along the Causeway Coast. Although a fast-dying tradition, there are many who gather their own dulse. 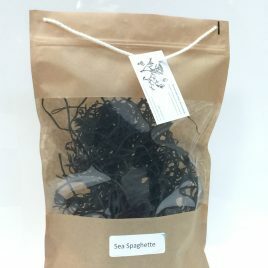 Along the Ulster coastline from County Antrim to County Donegal, it is eaten dried and uncooked similar to how one would eat snacks at a drinks party. 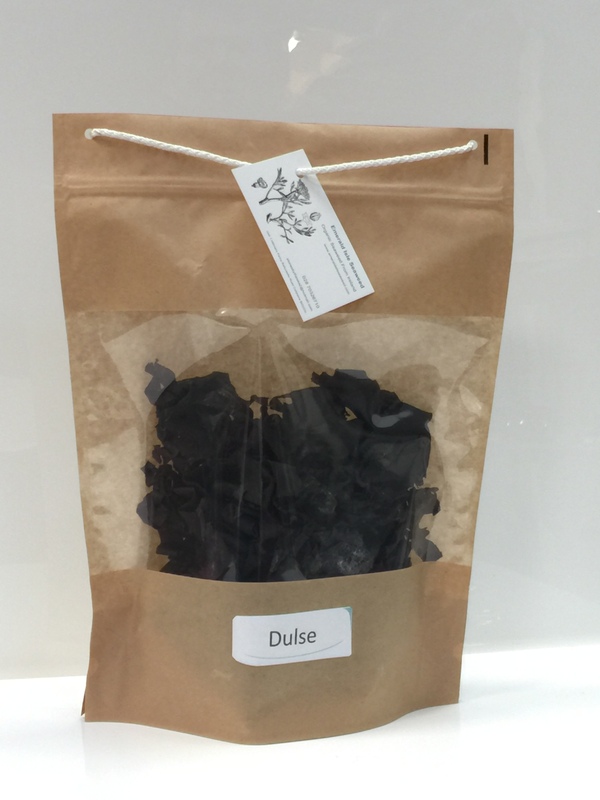 Dulse’s properties are similar to those of a flavour-enhancer. It is commonly referred to as dillisk on the west coast of Ireland. Dillisk is usually dried and sold as a snack food from stalls in seaside towns by periwinkle-sellers. Fresh dulse can be eaten directly off the rocks before sun-drying. Sun-dried dulse is eaten as is or is ground to flakes or a powder. In Iceland, the tradition is to eat it with butter. 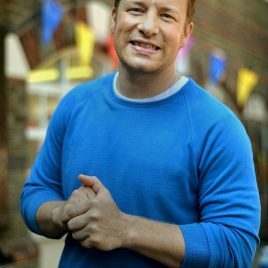 It can be pan-fried quickly into chips, baked in the oven covered with cheese, with salsa, or simply microwaved briefly. It can be used in soups, chowders, sandwiches and salads, or added to bread/pizza dough. Finely diced, it can be used as a flavour enhancer in meat dishes, such as chili, in place ofmonosodium glutamate. Dulse contains iodine, which prevents goitre. handful dulse, very finely shredded. 150g/5oz unsmoked streaky bacon, chopped into lardons. 1 tbsp chopped fresh chives, to serve. The earliest record of this species is of St Columba’s monks harvesting it 1,400 years ago.